"We've reviewed a flurry of Windows phones already, like the Optimus 7, the HTC Surround, and the Samsung Focus, but believe it or not there's still a few we have yet to check out. 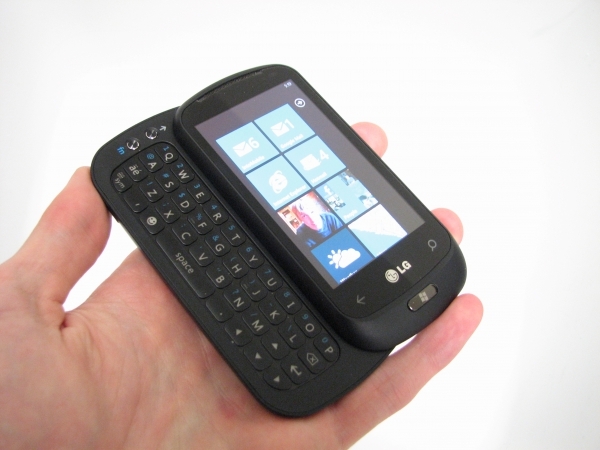 One such example is the LG Quantum, which breaks the trend of pure touchscreen slates in the Windows Phone 7 launch lineup. It's a major bonus to have some differentiation in a selection of samey Windows phones, but it also means there's a lot of pressure on the Quantum to deliver a strong messaging experience." Unfortunately in this competitive market the LG Quantum has been largely overlooked. This is especially true here in the US where the Samsung Focus, which is also offered through AT&T, is often considered the phone of choice. However, if you looking for a hardware keyboard the LQ Quantum is the only way to go (since the Dell Venue is still MIA). Check out the review and video by following the link below! Been using the LG Quantum now for about a week, and I'm quite impressed with it. Though I don't use the slide-out keyboard at all, so ultimately it's not the best phone for me...I think I'd be fine with a pure slate design.